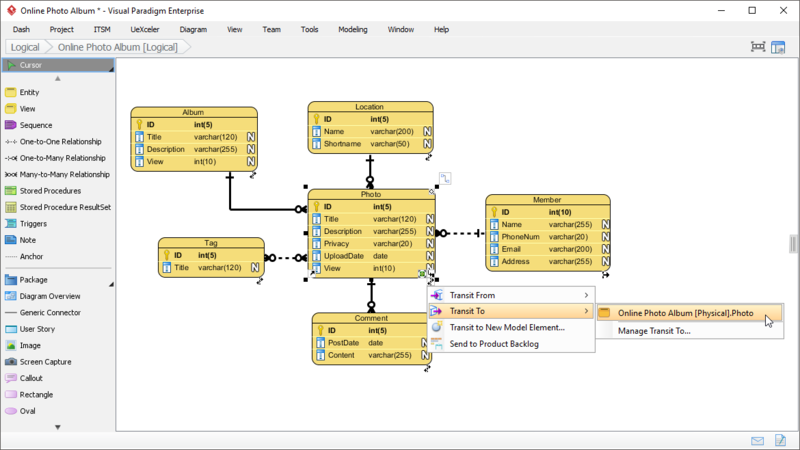 Data modeling is often the first step in database design as the designers first create a conceptual model of how data items relate to each other, it will then involve a progression from conceptual model to logical model, and to physical schema. 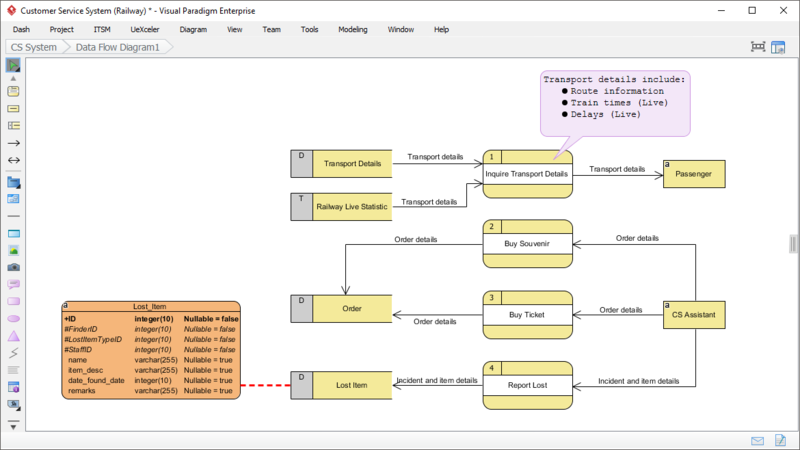 These diagrams can be used as a blueprint for the construction of new software or for re-engineering a legacy application. ER Diagram Tool that supports different levels of database design needs (Logical, Conceptual, and Physical). 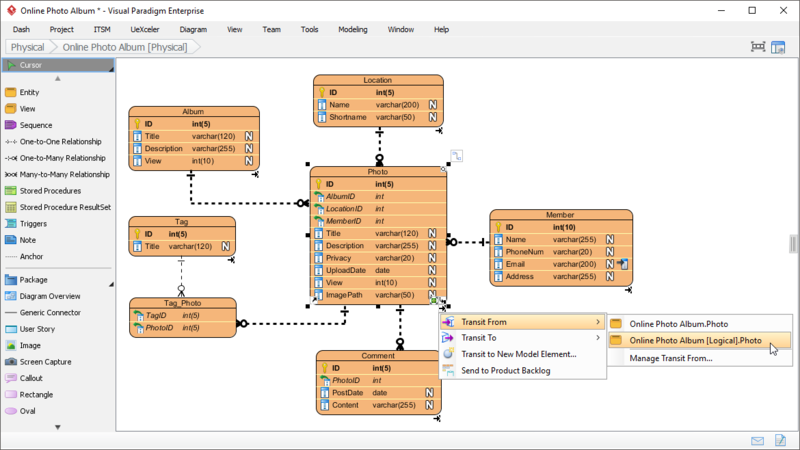 Conceptual ERD - Traceability is maintained between conceptual and logical ER model. Logical ERD - Again, you can derive the Physical model from the Logical model and with traceability maintained. Physical ERD - The physical database schema ready for ERD to database generation. Form Entity Relationship Diagram (ERD) from physical database. 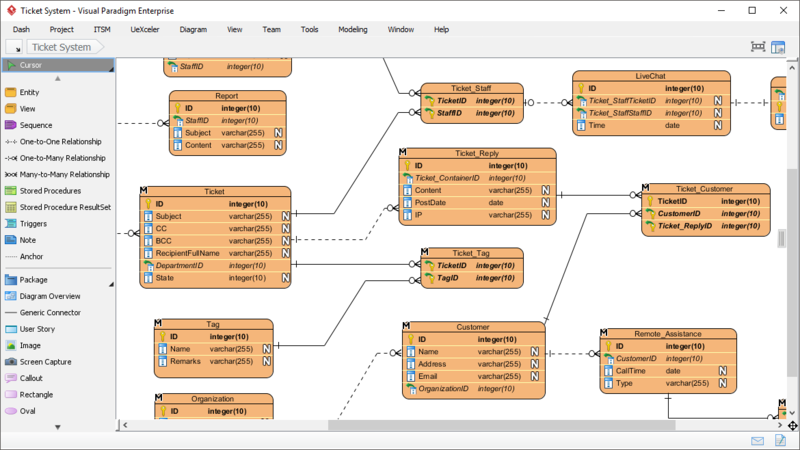 Support wide-range of DBs: MySQL, Oracle, MS SQL Server, Sybase, PostgreSQL, Firebird, INGRES, Derby, MariaDB, etc. 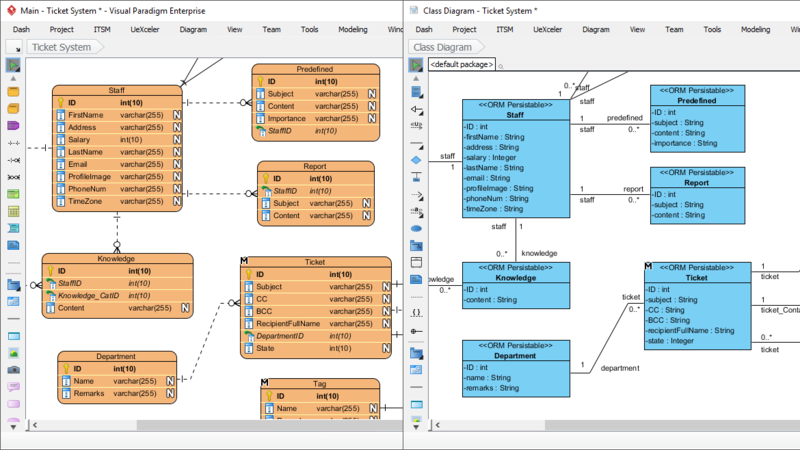 Synchronize between ER diagram and UML Class Diagram. 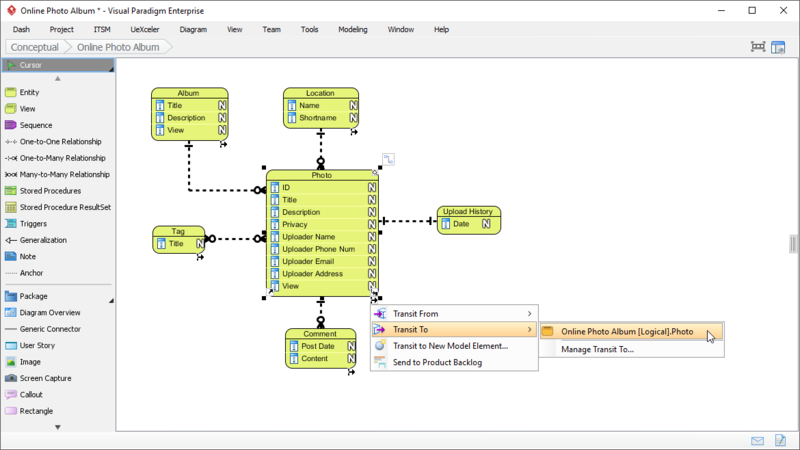 The entities, columns, relationship and layout are automatically be converted into UML classes, attributes and associations. 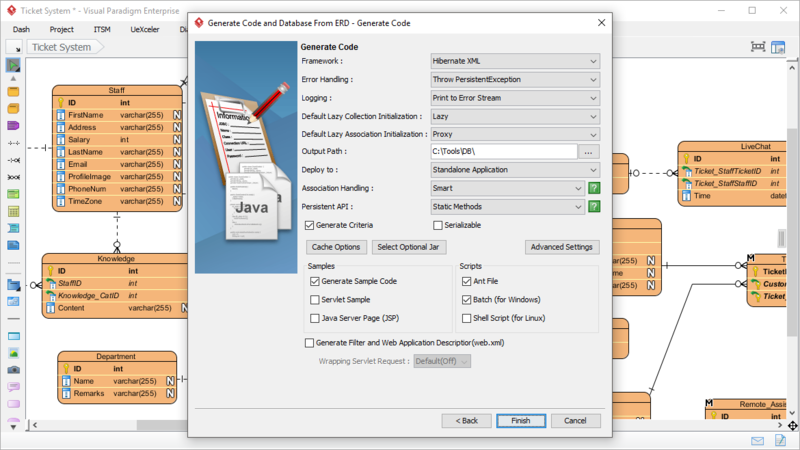 Generate ORM Hibernate mapping tier and the necessary source files (including samples) for programming purpose. 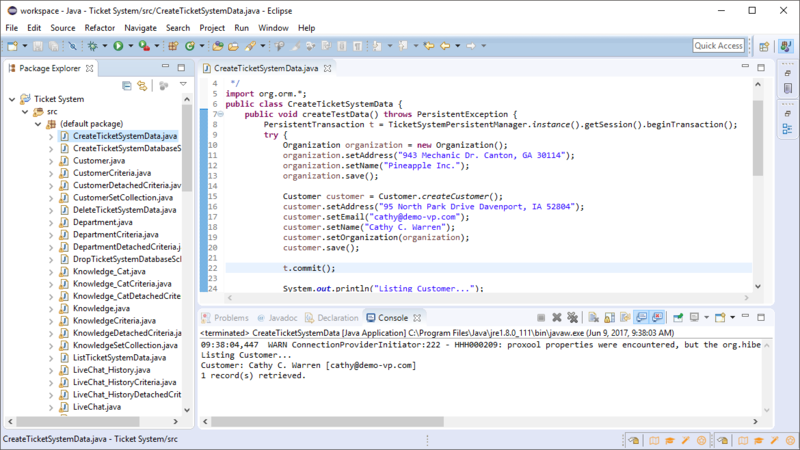 Programming with the generated ORM tier in Eclipse. 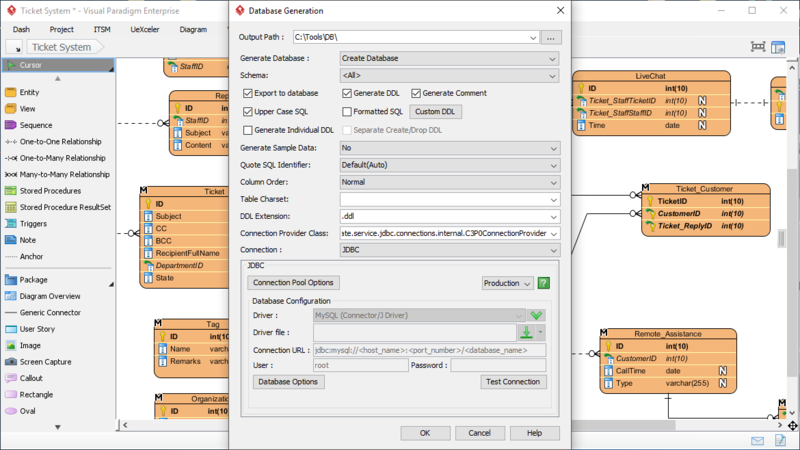 ORM allows developers to access a relational database through the generated classes without writing a single line of SQL! 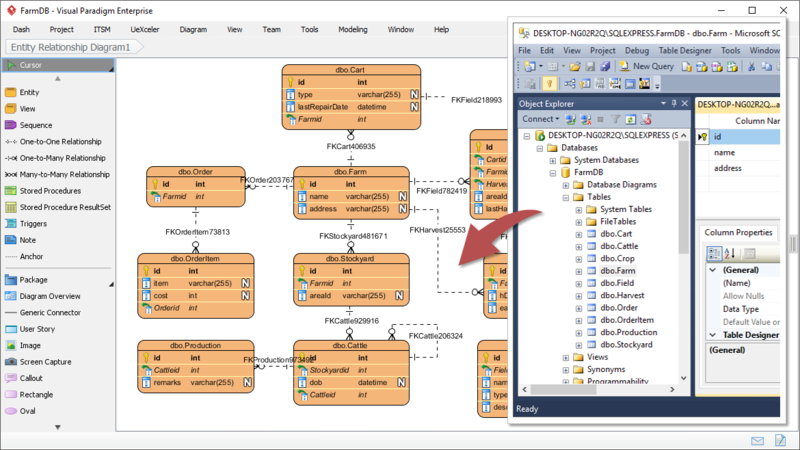 Incorporate an ERD entity in a DFD, which shows the way how data (identified in DFD) shall be persisted in physical RDBMS. 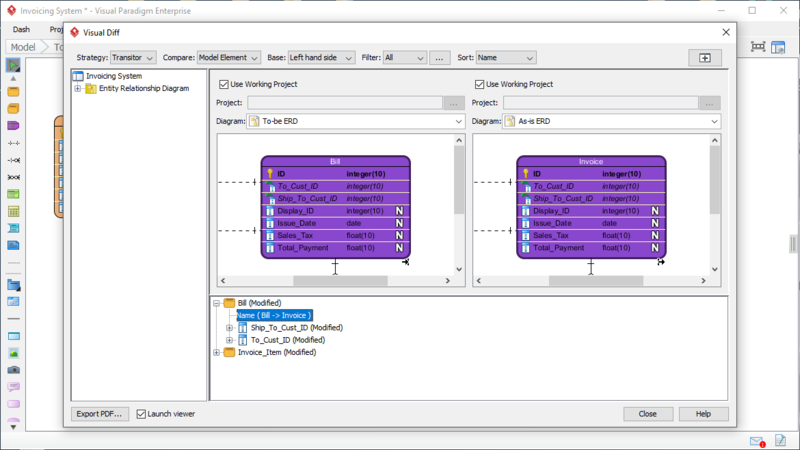 Compare the differences between current and target database design using Visual Diff. In this example, it reported that the entity has been renamed.